When it comes to good food, simple is often best. Take the fried egg: Its runny yolk and crisp edges are not only tasty, but satisfying and full of nutrition. 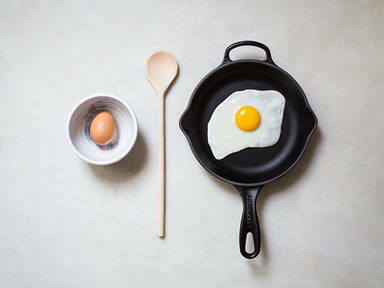 The key to a good fried egg is to use olive oil and to make sure that your pan is preheated before you crack the egg into it. Season it with plenty of salt and pepper, or other spices according to your taste. Top anything from toast to rice to stir-fried vegetables with one for a better meal in mere minutes.